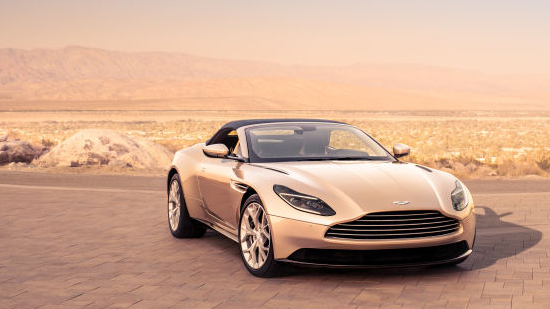 Aston Martin showcased their new DB11 Volante last month, is the stunning open-top vehicle is a good fit for 007? 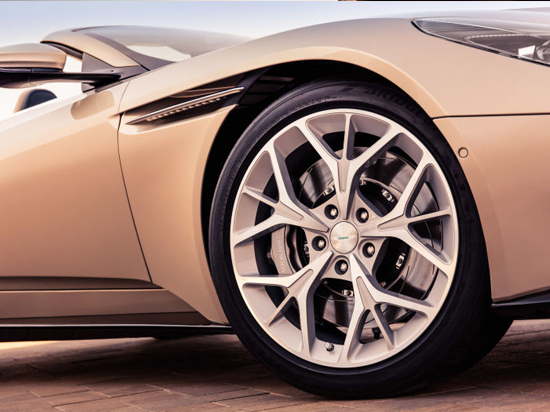 Last year Aston Martin announced the DB11, an all-new build with bonded aluminium chassis and a big V12 engine. It received positive views all around. 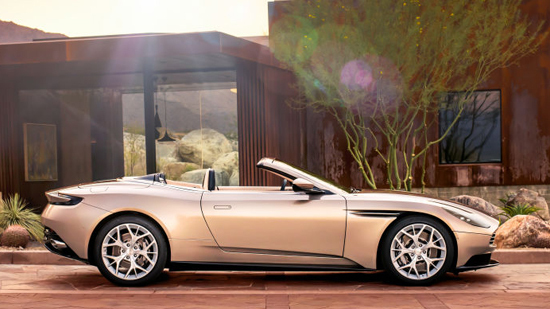 This October they announced the Volante, a soft top version of the DB11. 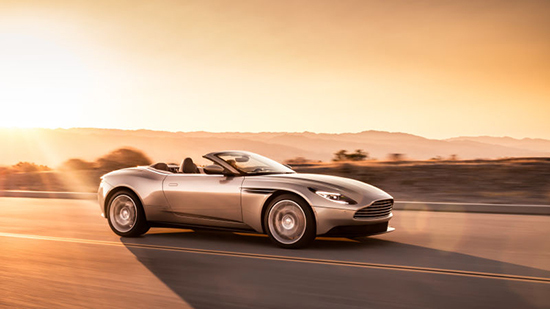 Powered by a new 4.0-litre twin-turbo 510PS V8 engine, the DB11 Volante is built around the all-new bonded aluminium structure first seen in the DB11 Coupe. As with most soft tops, its heavier than its coupe brother, but lighter than the car it replaces. It also will not ship with the V12, as weight-saving is the order of the day. The V8 still gets drivers to 60mph in a tad over 4 seconds – only a one-tenth reduction on the figure boasted by the coupe. It also has the same 187mph top speed as the coupe. 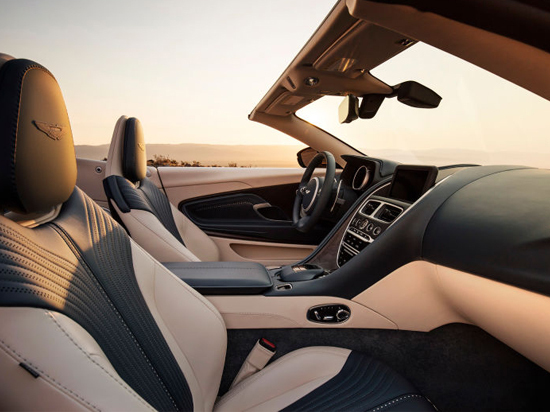 “The challenge of creating a convertible car is retaining structural and dynamic integrity. To protect the former you need strength and rigidity, but to preserve the latter you need to keep weight to a minimum. 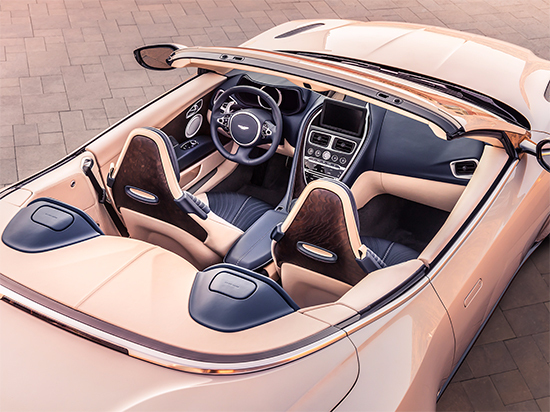 With the DB11 Volante we have maximised the advantages of the DB11’s all-new bonded structure to underpin our new Volante with a structure that’s 26kg lighter and 5 per cent stiffer than its predecessor,” remarked the Aston CTO Max Szwaj. Although few have got their hands on the vehicle the picture tend to speak for themselves. The DB11 Volante harks back to DB9s of old, and already many car reviewers have opined that the car is prettier than the coupe version. Popping down the top takes 14 seconds – an operation you can do at up to 31mph or from a distance via the key fob. The fabric roof includes special insulation to keep the passengers warm – but probably not safe from a hail of bullets as 007 might expect. It has, however, been tested in the heats of Death Valley and the brazing cold of Arctic Circle locations. The DB11 is priced from £159,900 or $216,495 in USA and owners will start receiving their cars early next year.